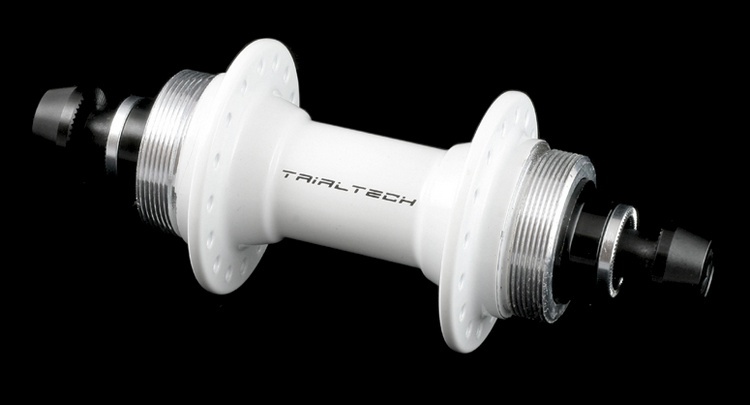 The Sport 116 rear hub offers and attention to detail and quality that out performs most hubs twice the price! Design to be used with most modern 20” wheel frames the Sport 116 hub features 110mm spacing and an extra long axle, making it the perfect fit for 116mm frames when used with chain tensioners. The hollow axle is made from high quality cromoly steel for increased strength and comes fitted with steel serrated end caps to ensure a secure fit between frame and wheel. The finest quality European made SKF sealed cartridge bearings are used to ensure excellent durability and super smooth running in all conditions. The main hub shell is CNC machined from high quality forged 6061 aluminium to give an excellent strength to weight ratio. To further add to the value for money of the hub, two sets of fixed sprocket threads are available, so if one set become damage when removing a fixed sprocket the performance of the hub is unchanged and can still be used by turning the wheel over and attaching a new fixed sprocket to the other side. 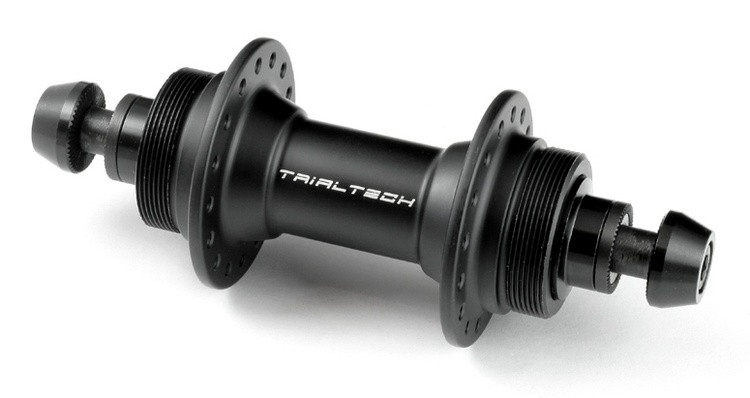 The Sport 116 rear hub is available in 32h drilling and a choice of matt black anodising with laser etched logos or gloss white powdercoat with black Trialtech logos. Each hub is supplied with a pair of high quality cromoly steel bolts and serrated washers. Customer rating: 5/5.